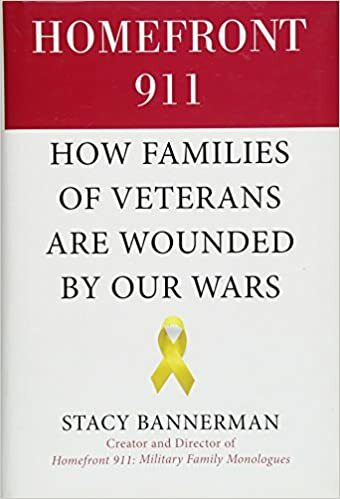 Stacy Bannerman is a respected author, non-profit expert, and legislative powerhouse for those affected by war: veterans, spouses, family, and children. In her home state of Oregon, she singlehandedly shepherded legislation to protect families affected by war. She lives it, shares it, and advocates strongly and boldly for others to learn — and to support veteran families with compassion. Homefront 911 is remarkable in the clear, direct, and compelling stories and research surrounding the profound effects of war on the military family. When a soldier, airman, sailor, or marine raises their right hand to take the oath of service — the family now serves too. If we fail to prepare the entire family for the potential effects of war upon return from combat, we are creating a multi-generational conundrum and cluster conditions. Caregivers of the wounded are vulnerable, and pregnant women under great stress share a hormonal bath that can change children’s predisposition to illness. Older children grow up too fast, with stress and strain apparent. We cannot ignore this critical population, and we can do more – please share with other veteran families, civilian neighbors, and families. Learn more at www.stacybannerman.com with the book here: http://amzn.to/2dGhtZf. Click here to download the show now: http://bit.ly/MRR-Homefront911, or click below to listen now. Also available on iTunes, Google Play, and Stitcher. Air date, 19Jun2018.